If you’re an avid casino player and know your games well, you won’t be able to stop yourself from making a parallel between Forturium by Microgaming and the popular NetEnt game Steam Tower. While it’s not uncommon nowadays that game studios use the same theme for different games. It’s worth knowing that Microgaming still managed to create a unique slot! In fact, this June 2018 release offers a completely different gameplay not only because of the reel formation. But also because of the engaging and innovative features this slot delivers! One of the key features of Forturium is that this game gives you the possibility to increase your chances of winning big by activating the Winning Booster feature. In fact, when you load the game have a look on the left-hand side of the reels where you’ll see a gold and green button. So clicking this button means that all Mystery Symbols will only reveal high-paying symbols and wild symbols. Granted that activating the Winning Booster will cost you a little extra. But is it not worth it if you’ve had a few dry spins and wanted to change your luck? As you play Forturium video slot, you’ll randomly see symbols with a question mark on them. Frequently these symbols will land on a single reel. However, it’s possible that you’ll see question mark symbols on more than one reels, which always adds excitement to the gameplay since the content of these mystery symbols are always reveal once the spin is complete. After landing 3 or more Scatter symbols on the reel, you’ll always activate 10 Free Spins with a full reel of mystery symbols. However, it’s worth knowing that if you’ve triggered the feature with 4 Scatters you’ll have 2 Mystery Reels. And if you’ve activated the bonus with 5 Scatter symbols, you’ll have 3 Mystery Reels in play for the totality of your Free rounds. But that’s not all! Indeed, during the feature, any Scatter symbols that land in view will also give you 1 extra Free Spin! Forturium Video Slot is a very well designed game. In fact, the overall game experience was very pleasant, and from our experience, the Free Spins bonus was pretty easy to trigger. Maybe we just got lucky? 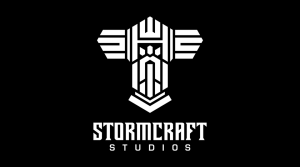 Until reviewing this game, we were unfamiliar with Microgaming’s latest partner StormCraft Studios. But after testing Forturium, we have to admit that we’re really looking forward to testing their next release because this game is 100% optimise for Mobile Casinos which we all adore!